An entire generation vehicles has passed since the introduction of of the Mercedes-Benz GelÃ¤dewagen in 1979. Time marches on and even though there have been rumors over the past decade of this off-road vehicles imminent demise, this beast continues to soldier on, looking not too dissimilar from the day it debuted. 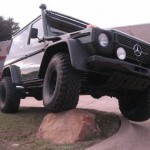 Even though SUVs have been wildly popular here in the US for the last two decades, it wasn’t until 2002 that Mercedes-Benz gifted us this vehicle, as the only G-Wagens to arrive here before that were imported via Europa Motors in Santa Fe, New Mexico. This 1988 model has been worked over, with a 300SD motor installed and a specialty gearbox with low range. 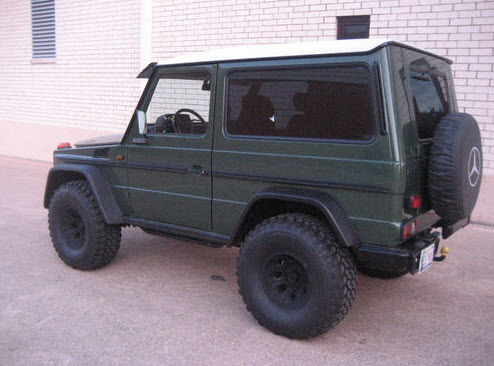 Painted in dark green with flared fender arches and a snorkel, this G looks ready to tackle just about anything that stands in its way. 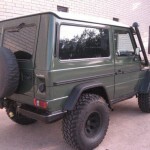 Up for sale is a nineteen 88 Mercedes 300GD turbodiesel with a 5-speed Wolf crawl gearbox. This truck was born a 300GD diesel with a 5 cilinder 617 engine coupled to a 5-speed Getrag gearbox. 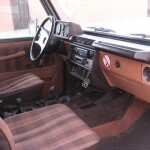 The truck still has its original forest green color with its original brown plaid interior. It has front and rear diff. locks, high and low 4X4 transfer box, RPM meter, snorkel on alternator, headlamp washers, fog lights front and rear, wiper and washer on rear door, front towpin and tow hitch and a set L/R front Mercedes G 460 rubber mats. The following modifications were made using only original Mercedes or Mercedes suppliers parts. -17 cm Mercedes fender extenders matching the RH rims. the widest extenders Mercedes ever offered. -Wolf, 711-116, gearbox out of a military 250GD. 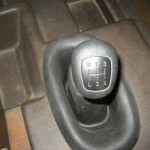 This gearbox has an extreem low first crawl gear. Model number: G1/18-5/6.15. It is a super strong cast iron made in Gaggenau, Germany gearbox. 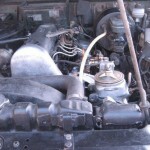 – 5 cil 617A turbodiesel engine out of a 1985 300SD. Car had 160kmi with a rebuild cylinder head. – Set of ORC rock-sliders bolted, not welded, under L and R rocker panels. -METAL Mercedes-G snorkel, from drivers seat not visable, hidden behind windshield post. This snorkel also serves as an intercooler providing cold air straight into the air cleaner. -W463 functional vents in RF and LF fenders. A metal passage way was fabricated to allow hot air to escape the engine compartment. -Truck was professionally repainted in its original factory color. -Roof panel was painted in white. -New heavy duty Sachs clutch plate, throw-out bearing, pilot bearing and clutch slave cilinder. -Factory gaskets between bell housing and engine & bell housing and gearbox for water tightness. -Correct new Wolf shift knob, Wolf shift mechanism and Wolf shift linkage rods. -Larger capacity 300SD (617A) oil cooler was installed. -Swiss Army foldable emergency shovel with matching leather holster mounted next to rear door on inside. -Custom exhaust thru the chassis pipe, this was done to achieve optimal ground clearance. -Turbo emblem on rear panel. All filters and fluids were checked or changed. Engine was resealed while it was out on the bench. A lot of time, effort and $’s were invested in this truck in addition to help from knowledgeable and dedicated G-wagon experts from the USA and Europe. We have now created a beast that can be put up against any Mercedes G-wagon, especially new ones, and come out the winner every time. I have a free and clear title in my name, will assist with shipping. We have run the truck on WVO, he loves it! The snorkel, turbo and exhaust produce a nice whine especially under load. Sale is not complete until a Bill of Sale has been signed by both buyer and seller. Good Luck Bidding!! 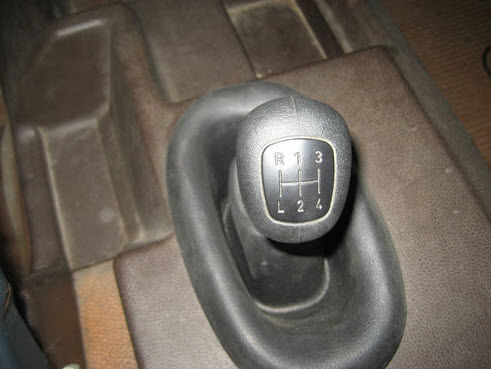 I have 1 more G1/18-5/6.15 Mercedes Gaggenau cast-iron 5-speed gearbox available. Top Gear contacted me to have this G appear in their program! 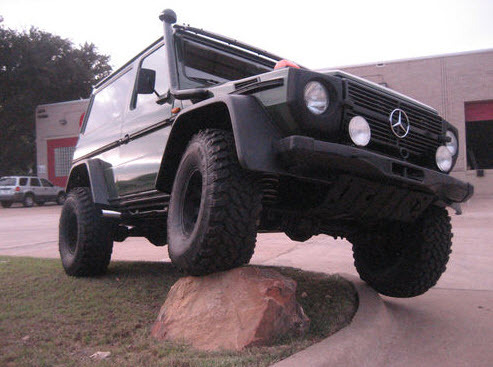 Before Mercedes-Benz starting importing them officially, GelÃ¤ndewagens used to command high values, even when used. Today, the market for them is still strong, but I’m not sure if it is quite as strong as the asking price on this particular 300GD. While it has an impressive amount of equipment and work done to it, I’d estimate we might be about $5,000 to $10,000 too high, as I’ve seen similar vintage two-door GelÃ¤ndewagens on offer in that range. 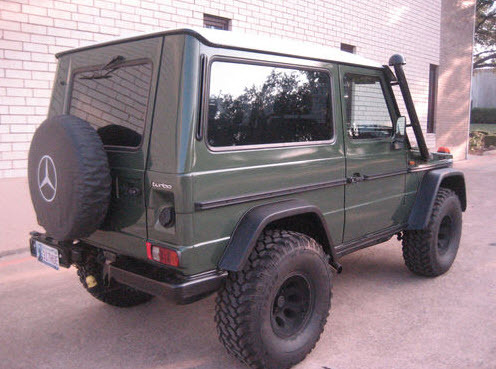 I could be wrong, however, as there are certainly G-wagon devotees out there who are willing to lay down a lot of cash for what amounts to one of the most capable off-road vehicles ever built. 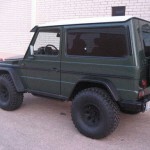 Tagged 1988, 300GD, 460, diesel, G-wagen, Gelandewagen, Mercedes Benz, truck. I’m confused. Why would you take a diesel engine out of 1985 car and put it in a 1988 car that already had a diesel engine? If the ’85 donor car had 160,000 miles on it when the engine was taken out, why are you saying that the ’88 car currently has 97,664 miles on it with the ’85 160k engine? 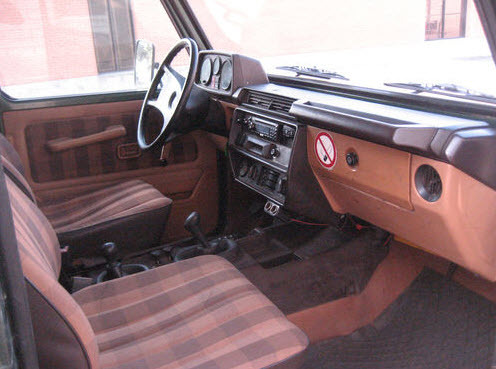 Why do all that apparently high quality work to an already really nice G-wagen, charge a small fortune for it, and stick it with an older higher-mileage engine? You’re right, David, it doesn’t make a lot of sense. Then again, I don’t know much about these trucks or all that off-road kit. Maybe it makes more sense if you’re into that market. I’m not an offroad kind of guy, but I do like this truck. However, I do not have enough knowledge or understanding to make any comments on the pricing. Someone with more experience in this market will have to chime in. If my research is correct, the 300GD G-Wagen came with the OM617 3.0 L Diesel I5, 88 PS (65 kW) (110hp) at 4,400 rpm, 126 lbÂ·ft (172 NÂ·m/2,400 rpm) engine. 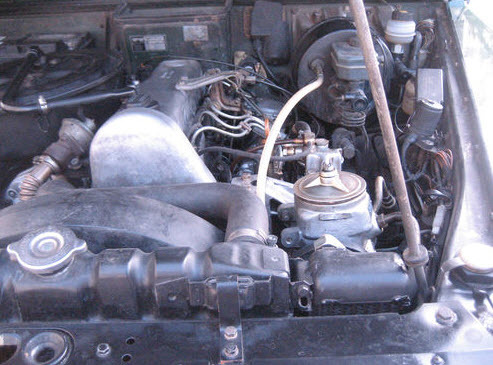 The ’85 donor engine from a 300SD was a OM617.951 123 PS (125 hp/91 kW) 180 lbÂ·ft (244 NÂ·m) which had a turbo. So a slight increase in hp and torque. I’m not knowledgeable about MB diesel engines, but that seems like a lot of work for not much of a gain. Turbo + Diesel = Perfection. It’s worth it. Also some generations of MB Diesel’s were rod benders, others were bomb-proof. I trust this owner did his homework, awesome truck.